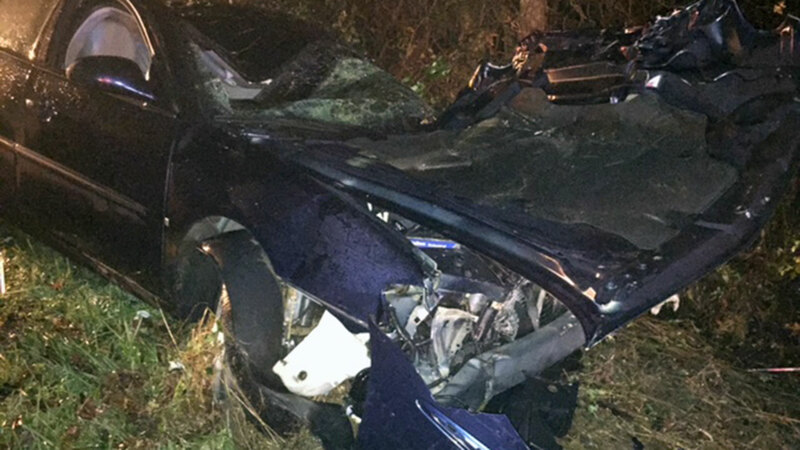 The North Carolina State Highway Patrol is investigating how a car ended up upside down in a Wake County creek. ZEBULON (WTVD) -- The North Carolina State Highway Patrol is investigating how a car ended up upside down in a Wake County creek early Friday morning. Authorities were called around 3 a.m. to Little River on Riley Hill Road in Zebulon about a submerged vehicle. According to a Highway Patrol trooper, a young woman lost control of her vehicle, knocked over a guardrail and went down into the water. The woman was able to pull herself out of the vehicle, swam out of the water and walked onto the road to get help. The trooper told ABC11 that the woman was not seriously injured, but was taken to the hospital. It is unclear if alcohol was a factor in the crash. The Highway Patrol, Wake County Sheriff's Department and Zebulon Fire Department are investigating the incident. Riley Hill Road is closed between Lizard Lick Road and NC-96 until the guardrail is fixed, according to a Department of Transportation. Detours are posted in the area.